A kayak rack for truck or SUV allows you to easily take your canoe with you on your free time. 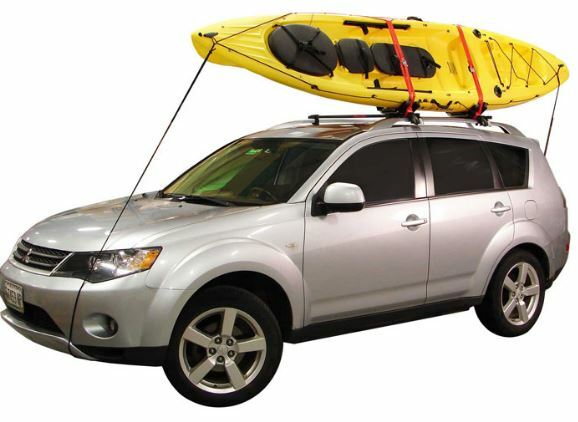 Kayak racks for cars have can be easily mounted to the roof of your car, or if you have a truck, even on the loading bed. Given that you have a truck or SUV, you probably prefer a kayak rack for a truck bed. These mounting systems have a loading capacity of more than one canoe, so you will be able to put your friend’s kayak on the same support. Usually, these systems are mounted on the roof of your cars. You will require crossbars to be mounted on the car initially. While this may seem like a bit of an investment, those who also do biking or skiing will benefit, given that most mounting systems are universal. Kayak racks for SUV or trucks work more or less the same way. You also mount them on crossbars. One good thing about SUVs is that they usually have rails already installed. Most crossbars can be mounted quite easily on rails and the roof support take another couple of minutes. If you are looking for the best kayak roof rack, take into account that it has to have a universal mounting system. Most likely you will change your car before the rack, so you want it to be compatible with your new car. If you install it on the roof of your car, you have to pay attention when entering garages or tunnels with a lower height. Extra attention is needed when you are mounting it on an SUV. It will be even higher. Either a single or a double kayak roof rack will mean doing a lower speed than normal. These systems are speed rated, so make sure you take extra care when driving. Also, make sure you have mounted them properly. Last but not least, check for larger racks, as their price might not be significantly higher than a single kayak rack. 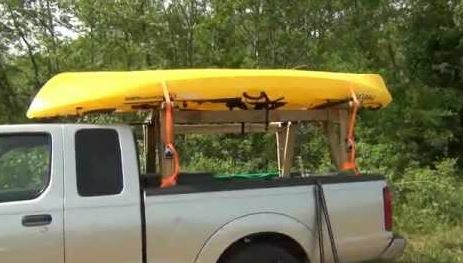 A truck kayak rack is an interesting alternative to a roof rack. 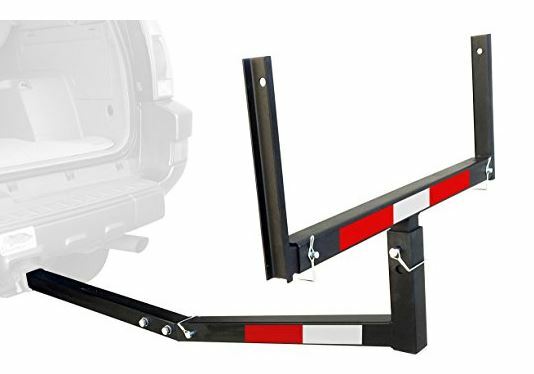 Its main advantage is that it can be mounted on the bed of the truck, or as a bed extender. Such racking systems are good options, given that they allow you to do the same speed you are usually doing. Also, you won’t have to reconsider the height of the car in tunnels or garages. The main advantage of using a truck kayak rack is that you can use the bed for storage. This means having kayaks on the back of the truck, not on top of the car. In the past, these systems came with mounting frames that required drilling the bed of your car. While this is the classic approach, newer systems provide clamping mechanisms that allow you to install the rack in just minutes. Clamping mechanisms also mean that you can move the entire system back and forth as you require. I would definitely suggest buying it with a clamping mechanism. Hitch mount bed extenders are ideal for quick and easy installation. These allow you to fill the bed with luggage and mount the kayaks way in the back. At the same time, you will have to be careful when reversing your car. 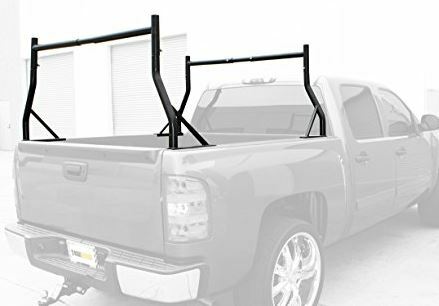 You will have to install the truck bed extender on the rear hitch that most trucks already come with. These are great, as they allow you to load kayaks or tools that are longer than the bed of your truck. It will take you just 10 minutes to install a hitch kayak rack. Also, it has a good structural resistance. Added to that, in most cases, the speed you are doing will not factor in. Hitch based systems are easy to install. You won’t need special tools, and installing them is pretty straightforward. There’s not much that can go wrong. Kayaks are not the only things you can carry. You will be able to easily move around ladders, long work tools or materials. The way the extender works is by increasing the carrying space for your truck bed. Sometimes, when carrying extra long materials, this will come in handy. Be careful to signal them properly so that drivers behind you notice these extensions. This is probably the only risk when using such a system. But if you do the proper signaling work you will be fine. You will need to pay attention when reversing. Don’t worry, you will not notice this anymore in a couple of days. The alternative to buying kayak racks for trucks is building one yourself. This is a more difficult task than other DIY projects, as you first have to consider the safety of the system. Also, it will require some technical skills on your side. Drilling expertise, developing safe clamping systems and a good understanding of screw sizes and materials is mandatory. Remember, the first thing on your mind should be safety. Given that you will be traveling at 50mph a lot of the time, you don’t want your roof flying and damaging another car or pedestrians. Plan it carefully, and if you can do a mockup of light materials this is even better. The mockup will let you verify your general design. It will also let you check mounting holes before you actually drill them. I recommend you have some drilling experience. Also, you should get proper drilling tools for such a job. The structure of your frame is very important. Make sure you are using heavy duty materials. The weight of the rack is also important. This will be a balance between the total weight and resistance. Too heavy, and your truck might barely move. Too light, and the resistance of the structure might be too low. If you have problems storing your kayak at home, check our article on storage rack for kayaks. It features great solutions for indoor or outdoor storage.